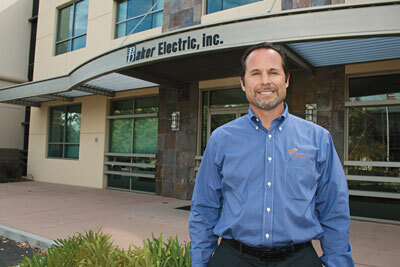 In 2007, executives at Baker Electric decided to take a chance on a budding industry. After taking some lumps out of the gate, Baker's emergence into the solar electric installation market is becoming a regular and important part of its business. Brian Miliate, chief financial officer for Baker Electric Inc., was there at the beginning of Baker Electric Solar, a division within the company. He's also the solar division’s general manager. Baker Electric as a company is 74 years old, hardly a novice in the workings of business. But when the time came for a change in company structure, Miliate was expected to sell the idea of the company, and teach others to as well, when selling wasn't exactly Baker’s strong suit. In 2005, Baker Electric Inc. created NB Baker Electric, a division meant to handle its residential electrical contracting for single-family homes. Solar-related installations were not a priority at all. As 2007 approached, the company noticed the home construction market changing and its managers felt it was time to adapt. The choice to go into the solar industry was met with optimism but perhaps not a lot of confidence because Baker had previously only performed limited solar installation work for its contracted residential developers. The developer would provide the product, and Baker would go in and provide wire, pipe and do the installations. But that was the extent of Baker's exposure. Miliate recalls Mark Johnson -- currently Baker Electric's director of business development, but the group manager at the time -- listing off options the company had to keep NB Baker Electric alive. Solar was one of them. As CFO of the main company, Miliate worked with Johnson before meeting with the boss, helping him frame the proposal to present the worst and best case scenarios to Baker. “Ted said, ‘Well, hey, let's give it a swing,’” Miliate recalled. And so Baker Electric Solar was in business, and made its first residential sale in December 2007. But it wasn't a story of Baker blasting out of the gates with a tsunami of sales. Even though Baker threw his support behind the idea, he remained skeptical of how that end of the business would perform. “It was scary,” he added. Things aren't as scary now. Not wanting to fail in the experiment, Miliate began paying closer attention to money spent, measuring the returns on investment. Things improved. But the timing of Baker's entrance into the market and the evolution of business with its manufacturing partners may have also helped. The market was still in the “early adopter” stage, as Miliate called it. The time during which the company spent money learning the business didn't hurt as much as it could have today, when solar installations are more popular and the opportunity cost is much higher. From the beginning of Baker Electric Solar, the company has been teamed with San Jose's SunPower Corp., a designer and manufacturer of solar energy systems, to bring lease agreement-tied solar installations to its customers. The partnership with SunPower accounts for most of its installations, but Baker continues to do business on a smaller scale with several other solar panel manufacturers, including Sharp, Kyocera and Siliken. The mathematics of the first two lease agreements SunPower gave Baker to work with and offer its customers didn't add up to an easy sell, making for an even tougher challenge facing the solar newcomer. The terms of the leases just didn’t make sense for most homeowners, Miliate said, unless the homeowner was spending hundreds of dollars per month on electricity. Through all of 2008, the solar division's first full year, the company landed just $1 million in contracts. But the most recent version of the lease, SunPower's third, changed that, and Miliate has seen business gain because of it and expects it to continue to grow. He’s even having Baker install a SunPower system at his home this spring. The first three years of Baker Electric Solar did not seem to make for the greatest investment, Milliate said. But after posting a solid year in 2011, during which roughly one-quarter of Baker Electric Inc.'s total workload was in solar installations, the learning curve Baker followed was worth the investment in the residential solar division, Milliate suggested. 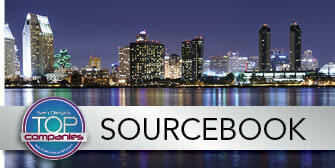 The company managed to increase its solar contracts value from that $1 million figure in 2008 to $7.7 million in 2011. Through Baker Electric Inc., which handles the company’s larger commercial solar projects, the company also landed its first project sized at a megawatt or larger in 2011, with the 1.5-megawatt project for the bachelor enlisted quarters at Marine Corps Air Ground Combat Center Twentynine Palms. It was a good project in the middle of a bad economy that made a believer out of Miliate and his colleagues at Baker. “We consider it a core part of our business now, and it's something that we’ll continue,” Miliate said.